In 2014, the number of uninsured Americans dropped by 3.8 million from January to March, which brought the average percentage of people without health insurance to 13.1%, according to a survey by the Centers for Disease Control and Prevention’s National Center for Health Statistics. Premium increases are now an average of 5.6% for all plans – up from 5.5% in 2013. Knowing the numbers, and having the ability to benchmark employer plans, is paramount – especially with so many changes driven by health care reform. Current, validated data allows employer plans to make the best informed decisions to benefit the organization as well as the employees and families to which they provide benefits. * Data in the 2014 UBA Health Plan Survey is based on responses from 9,950 employers sponsoring 16,967 health plans nationwide. The survey’s focus is intended to provide a current snapshot of the nation’s employers rather than covered employees. Results are applicable to the small to midsize market that makes up a majority of American businesses, as well as to larger employers, providing benchmarking data on a more detailed level than any other survey. We field many calls to review, speak, and comment on a variety of topics. Of course, these generally pertain to health care. 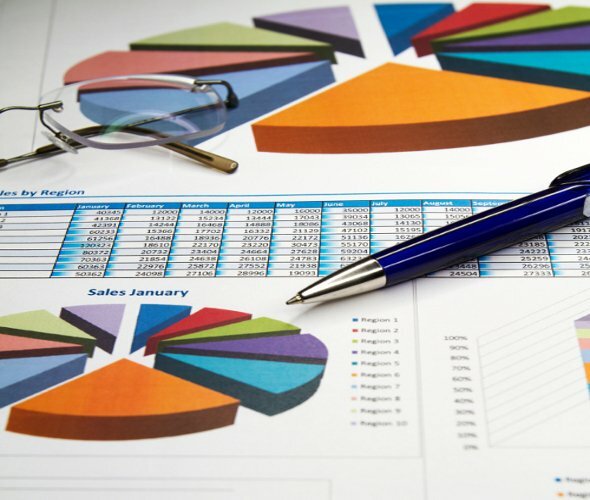 In preparing for a coming presentation, I came across a recent article in Becker’s Hospital Review titled “100 Healthcare Statistics to Know”. The United Benefit Advisors (UBA) annual Health Plan Survey for 2014, which contains validated data on 16,467 plans for 9,950 employers, shows minor average change for plans in the last year. The survey contains information on plans that renewed predominantly between June 2013 and June 2014. In-network out-of-pocket maximums jumped $500 for single coverage and $1,000 for family coverage. The out-of-network out-of-pocket maximums rose by $1,000 for both single and family coverage. The median numbers show the underlying shifts for trend purposes. With the median changes showing a large shift, it means employers are moving away from the lower or no deductible plans. Since there is also, by federal law, a maximum out-of-pocket cap, we will likely see these amounts continue to rise toward that cap. Employers with 50 to 99 employees for 2013-2014, showed increases averaging 3.2%. In the prior year, the increases averaged 2%. Employers with fewer than 50 employees had the most minimal increases for 2013-2014 of just over 1%. In 2012-2013, the increase was almost 5%. Small employers, those with fewer than 50 employees, were given the chance in most markets across the U.S., to renew their plans as of December 1, 2013. The net effect was a delay strategy for several changes required by law as of the first renewal on or after January 1, 2014. The one that is affecting the small group rates significantly is the rate compression to a 3:1 premium ratio, meaning the rate for those age 64 and older, cannot be more than three times the rate charged to someone that is age 20. Prior to that mandate, most states had a 7:1 premium ratio. While other requirements were part of the law, such as coverage for essential health benefits (EHBs) and no pre-existing condition exclusions, the driving factor to take advantage of the ‘early renewal’ strategy was to delay the rate compression. From the 2013 UBA Health Plan Survey, in the fewer than 50 employee category, there were 507 employers that had a December 1, 2012, renewal. The latest survey data shows for a December 1, 2013, renewal date, in the same size category, there were 2,598 employers. More than five times the number of employers took advantage of delaying their renewal dates! For most plans that renewed on December 1, 2013, this was their second renewal in one year. This would also account for the minimal rate increases as shown above. When the small group market reforms expand to those employers with fewer than 100 employees in 2016, from the current definition of employers with fewer than 50 employees, we will likely see another round of early renewal strategies to delay the effects of the rate compression. These renewal delays will continue to have ripple effects in the insurance industry for many years to come. Some states have taken advantage of the “if you like your plan, you can keep it” extension, others have not. In the states that did allow the extension, they are seeing minimal increases, most not more than 12%. In states where the extension was not allowed, such as Virginia, the majority of our clients are seeing increases ranging from 40% to more than 167%. 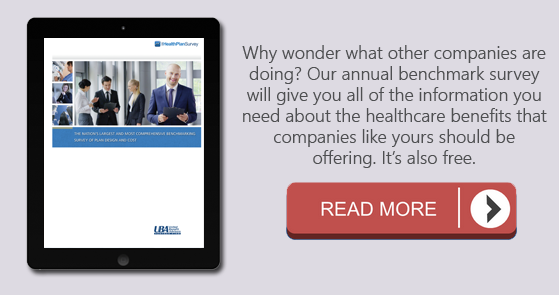 Request a copy of the 2014 UBA Health Plan Survey here or contact a local UBA Partner for a customized benchmarking report. Data breaches — such as those recently at Target, Home Depot, and Jimmy John’s — can result in identity and other theft, but Brian Hall, partner at the law firm Porter Wright, says there are key takeaways from employers. Q: How does a wellness program affect affordability calculations? A: The proposed regulations provide that when deciding if the employee’s share of the premium is affordable (less than 9.5% of the employee’s safe harbor income), the employer may not consider wellness incentives or surcharges except for a non-smoking incentive. In other words, the premium for non-smokers will be used to determine affordability (even for smokers). Any other type of wellness incentive must be disregarded. Example: Acme has a wellness program that reduces premiums by $300 for employees who do not use tobacco products or who complete a smoking cessation course. Premiums are reduced by $200 if an employee completes cholesterol screening during the plan year. The annual employee premium is $4,000. Employee B does not use tobacco and completed the cholesterol screen, so the cost of his actual premium is $3,500 [$4,000 – 300 – 200]. Employee C uses tobacco and does not do the cholesterol screen, so the cost of her actual premiums is $4,000. For purposes of affordability, Acme will use $3,700 as the cost of coverage for both Employee B and Employee C [$4,000 less the available $300 non-smoker discount]. Q: How does a wellness program affect minimum value calculations? A: When calculating minimum value, if incentives for nonuse of tobacco may be used to reduce cost-sharing (i.e., the deductible or out-of-pocket costs), those incentives may be taken into account when determining minimum value. Other types of wellness incentives that affect cost-sharing may not be considered. For nearly 50 frequently asked questions and answers about wellness programs United Benefit Advisors (UBA) request UBA’s “Frequently Asked Questions (FAQ) About Wellness Programs’ Legal Requirements”. For general highlights about wellness programs, download “Highlights of the Wellness program Requirements”. Is technology the American worker’s friend or foe? Turns out the answer is a bit of both and is pretty much under continuous debate. Some workers largely depend on technology to do their jobs, while others find themselves being replaced by it. To meet federal requirements, large health plans must obtain a national health plan identifier number (HPID) by November 5, 2014. For this requirement, a large health plan is one with more than $5 million in annual receipts.